WebRTC with DTLS, ICE, SIP over WebSockets. Video calls in a browser - it just works with SignalWire. We are proudly supporting industry standard WebRTC SIP over WebSockets. 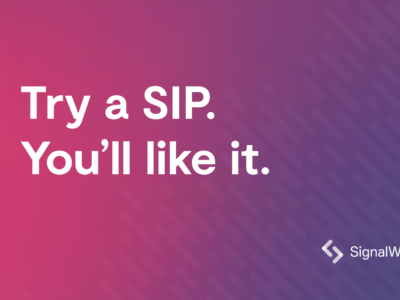 This means you can use off-the-shelf JS libraries + SIP to connect SignalWire services. 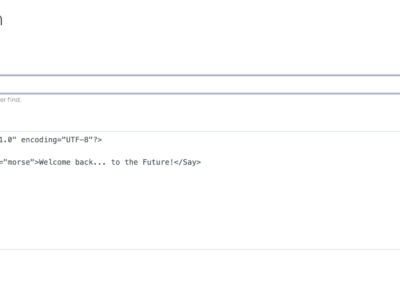 RELAY is the next evolution in real-time communication APIs. Relay is a new real-time web service protocol that provides for persistent, asynchronous connections to the SignalWire network. Over a decade of innovation in the telecom space. Reflecting on over 20 years of online technology, I feel there is no more important concept that has emerged than the API. The most powerful communications framework keeps getting stronger. The most feature-rich and widely-deployed communications framework in the world just got a little bit better. 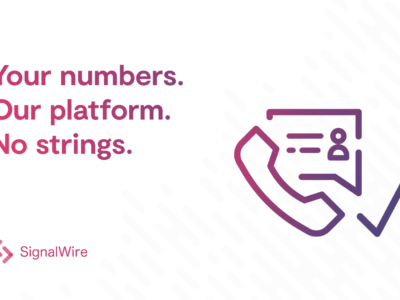 SignalWire is now offering a verification process where you can use your own numbers to make outbound voice calls without porting your number to SignalWire. The most feature-rich and widely-deployed communications platform in the world just got a little bit better. 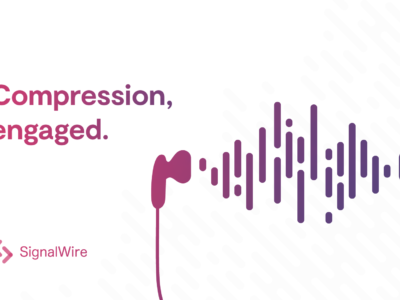 We tend to listen to our customers and when they tell us they really need something to make their use of the SignalWire platform more efficient, we do our best to deliver. That’s exactly what happened in the case of Message Pools. G.729 is sometimes preferred over other voice codecs due to its ability to compress media (voice in this case) up to 8x more than the other codecs that are typically used in VOIP applications. 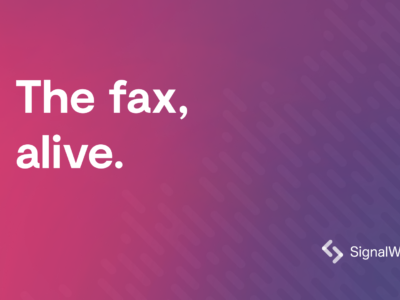 Talking about fax in 2019 reminds me of a skit; “I’m not dead yet!” from one of my favorite comedic groups. How to add VoIP features to your applications and use SignalWire to route calls to SIP endpoints. SIP connectivity (SIP Trunking) and routing allows companies and developers to build out solutions on SignalWire that include SIP endpoints in addition to regular business and mobile phone numbers. 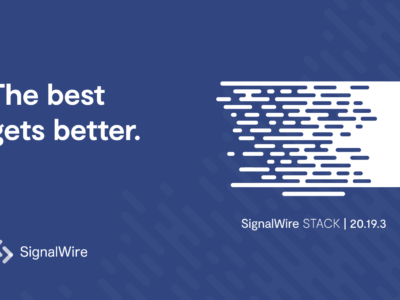 After hearing the founders share their vision and seeing the progress being made, it was clear that SignalWire was going to have a positively impactful effect on the entire industry. 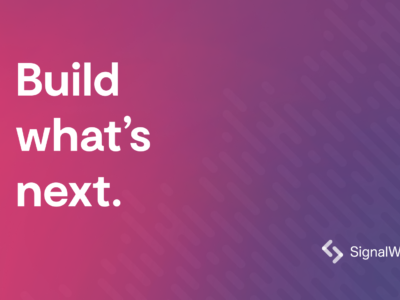 It was also clear that we all wanted the same thing - to build the most innovative development tools of our time and truly empower developers. 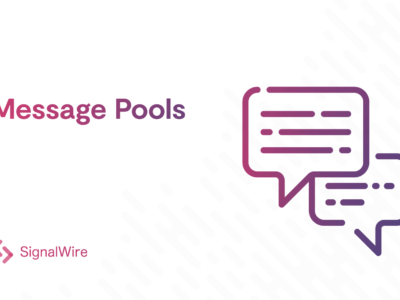 LāML, pronounced “lame-ul”, is a markup language that is feature-to-feature compatible with Twilio’s TwiML, and allows developers to easily migrate communication application traffic to the SignalWire CLOUD platform and take advantage of significantly lower voice and messaging rates.